Annual Tulip Sales Begin on Monday, March 26! Beginning at 11am on Monday, March 26, the Rotary Club of La Conner will once again be selling Tulips. 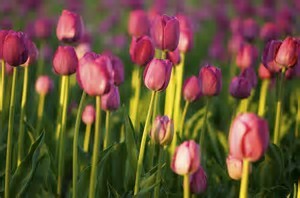 Tulips are $5 per bunch of 10 stems (compare this to Seattle where they sell for $2 a stem!) and $225 for a box of 45 bunches. For our Canadian friends paying in Canadian dollars (yes we take them) the cost is $6 for a bunch of 10 stems and $250 for a box of 45 bunches. Want to order a box for your customers? Send an email to rotarycluboflaconner@gmail.com with your order details. We will send an invoice that you can pay with cash (on pick-up or delivery within a 10 mile radius), check on pick-up or delivery or by credit card.